Boulevards of Paris hard cover protects the back and sides of your phone from accidental bumps, drops and scrapes. The tough plastic shell will keep your Samsung Galaxy A7 (2017) safe from accidents. Our Samsung Galaxy A7 (2017) Phone Case offer easy snap-on attachment for a perfect fit and give you quick and easy access to all your phone's features. Samsung Galaxy A9s, A9 Star Pro, A9 (2018) Dimensions : 162.50 x 77.00 x 7.80 mm. Samsung Galaxy A9 Pro (2016), A9 Dimensions : 161.70 x 80.90 x 7.90 mm. Samsung Galaxy A8 Star (A9 Star) Dimensions : 162.40 x 77.00 x 7.60 mm. 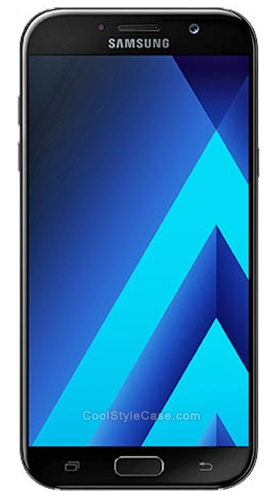 Samsung Galaxy A8 Plus (2018) Dimensions : 159.90 x 75.70 x 8.30 mm. Samsung Galaxy A8 (2018) Dimensions : 149.20 x 70.60 x 8.40 mm. Samsung Galaxy A7 (2017) Dimensions : 156.80 x 77.60 x 7.90 mm. Samsung Galaxy A7 (2016) Dimensions : 0.00 x 0.00 x 0.00 mm. Samsung Galaxy A7 Duos, A7 Dimensions : 151.00 x 76.20 x 6.30 mm. Samsung Galaxy A6 Plus 2018, J8 Plus 2018, A6+ (2018) Dimensions : 160.20 x 75.70 x 7.90 mm. Samsung Galaxy A6 (2018) Dimensions : 149.90 x 70.80 x 7.70 mm. Samsung Galaxy A5 (2017) Dimensions : 146.10 x 71.40 x 7.90 mm. Samsung Galaxy A5 (2016) Dimensions : 144.80 x 71.00 x 7.30 mm. Samsung Galaxy A5 Duos, A5 Dimensions : 139.30 x 69.70 x 6.70 mm. Samsung Galaxy A3 (2017) Dimensions : 135.40 x 66.20 x 7.90 mm. Samsung Galaxy A3 (2016) Dimensions : 134.50 x 65.20 x 7.30 mm. Samsung Galaxy A3 Duos, A3 Dimensions : 130.10 x 65.50 x 6.90 mm.